I’ve been going through my “stuff” attempting to organize, purge, and welcome in the new. I do this several times a year. I find this to be true. When you have too much “stuff” the energy in your house becomes stagnant. Why? Because, there is no room for any newness to enter. I can actually feel the stagnant energy when I walk into a cluttered environment. There’s a heaviness to it. It’s a good practice to periodically go through your “stuff” and sort out the things that still serve a purpose in your life and the things that don’t. Holding on to things that no longer serve you stifles the “Law of Circulation.” If you aren’t using something, you are preventing someone else who might benefit from its use. I tend to take my unused “stuff” to a donation center. But, there are other options. You can give them away to friends or have a yard sale. I’ve gotten off track here, so let me refocus. When I go through my “stuff”, I also sort through my computers and/or devices. I remove any digital files and/or applications I no longer use While doing so, I came across a video from 2008. 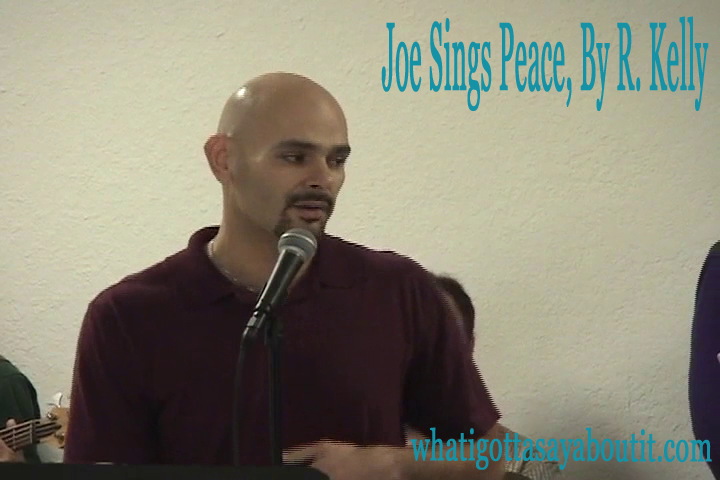 This video is of me singing the song I mentioned in my Daily Prompt post God Gave Me Skills. For those of you who have read that post, I thought it would be a nice reference for you to see. I laugh when I watch it. I can see all the mistakes I made. At one point, my music director moves over to give me a cue that I was ahead of the music. I have a tendency to do that. But, as I said in my post, I don’t know music. I hope you enjoy, and may you all have peace in your lives. Oh yeah, and clean up.